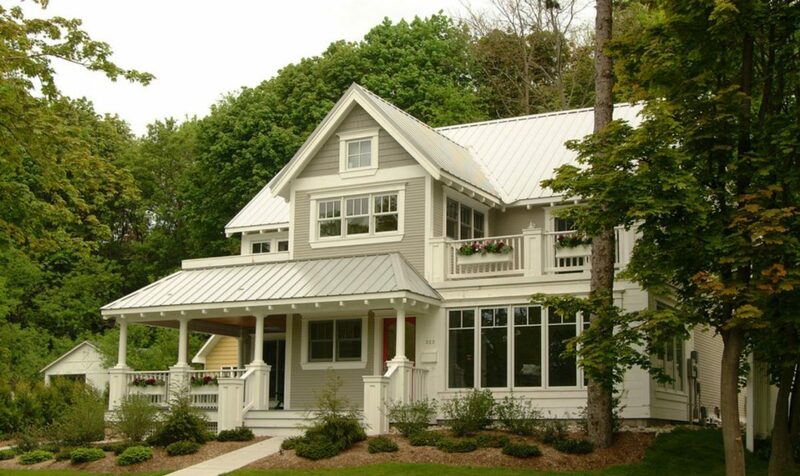 Metal roofing is by far one of the greenest and longest lasting types of roofing materials. Professionally installed metal roofs will protect your home from rain, snow, high winds / hurricanes, ice dams, fires, lightening, etc. No other type of roof will stand up to the power of nature as well as a metal roof. In addition to superior waterproofing and water-shedding properties, metal roofing also makes your home look beautiful, making it the envy of the neighborhood. 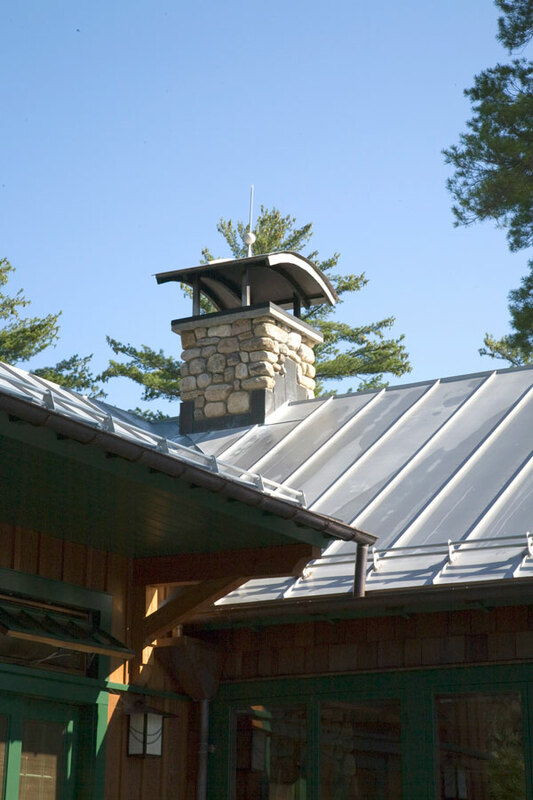 A metal roof can improve the comfort of your home. The thermal properties of metal roofs will keep your attic space cooler in the summer, and a Cool Roof coating will further improve the reflectivity of your roof. 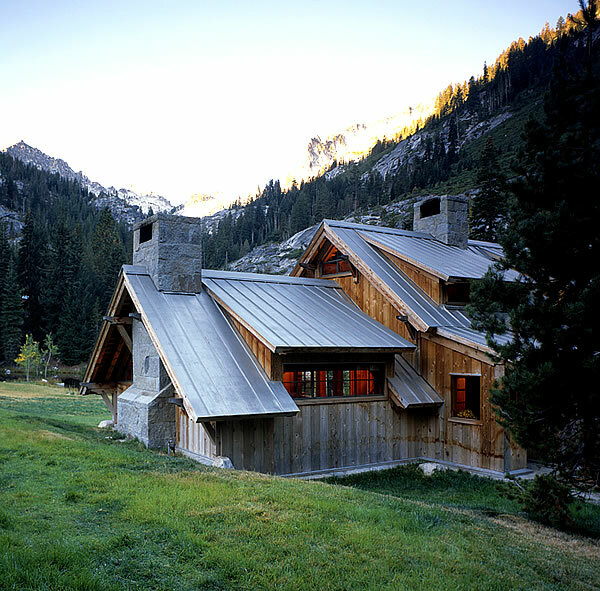 In the winter, a metal roof will act as a natural barrier against ice dams formation. Most of the snow accumulating on your roof will actually slide off of the roof before it has a chance to freeze, but even if it does freeze along the eaves of your roof, the design of metal roofing panels will prevent any water from traveling up and penetrating your roof. Sheet Metal Panels with Exposed Fasteners – Corrugated and R-panels – usually lower gauge and quality steel (29 gauge galvanized steel – not as thick as 26 gauge steel) panels, installed directly over roof deck or battens, without underlayment / vapor barrier, using roof-penetrating fasteners with neoprene / rubber washers or gaskets.Most common profiles include corrugated steel panels, R-panel, V5 crimp panel, etc. Exposed fastener metal roofing is typically painted with lower quality (as compared to Kynar 500) acrylic paint. This acrylic paint will usually lasts 15-20 years, while the exposed fasteners will require resealing and re-tightening after about 10 to 15 years. — These systems are not very suitable for complicated / cut-up roofs, as their flashing details are not designed for multiple roof penetrations, valleys and pitch changes. 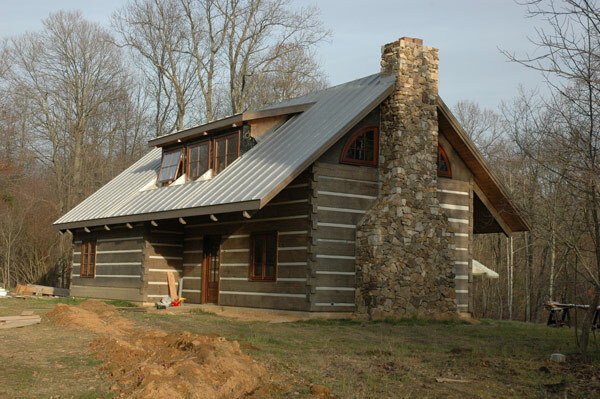 You can learn how to install a standing seam metal roof. – The guide covers preparing a roof deck and installing roofing underlayment, installing a starter strip, the first metal roof panel, field panels, doing sidewall flashing, valley flashing and installing hip / ridge cap. Contains standing seam installation videos. Compared to standing seam, metal shingles are usually less expensive to buy, and they also happen to cost less to install. 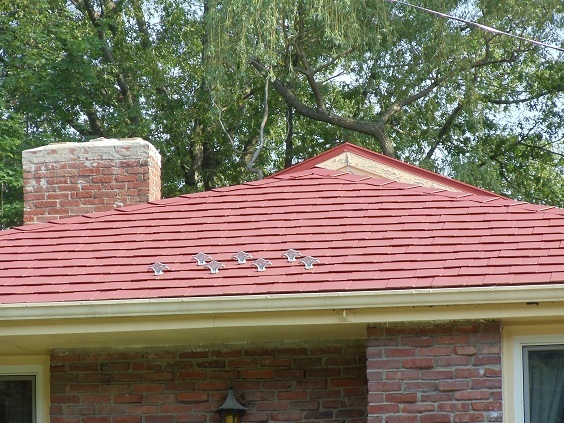 Metal shingles offer more flexibility for a roofing contractor, in terms of greater variety of readily available metal flashing details for almost any roof penetration. Metal shingles can also be installed on round-shaped towers, whereas standing seam cannot, unless a very expensive and sophisticated rolling equipment is used in manufacturing of custom designed sheet metal roofing panels. Metal roofing prices are something of a mystery for many homeowners, and can also vary greatly from region to region. Metal roofs are generally more expensive to install than a typical asphalt shingles roof – about 2.5 to 3 times more. However, if you consider the lifetime cost of a metal roof vs. an asphalt shingles roof, you will see that on a per-year basis, a metal roof is actually about 25-30% less than asphalt shingles. If you also subtract all the future “would be” roof and interior repairs associated with the end of a life of a typical asphalt shingles roof – that time when your roof starts to leak, your ceilings, walls and carpets get ruined and you have to get up in the middle of the night to put up the buckets whenever it rains – a metal roof suddenly becomes far more appealing.